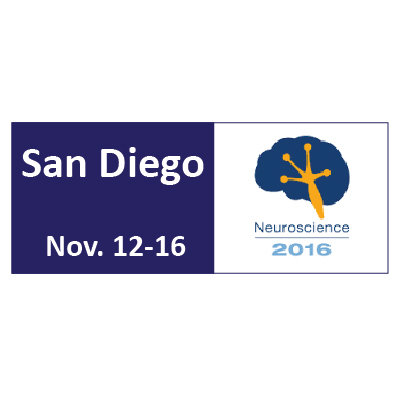 We are attending Neuroscience 2016 takes place November 12-16 at the San Diego Convention Center. SfN's 46th annual meeting is the premier venue for neuroscientists to present emerging science, learn from experts, collaborate with peers, explore new tools and technologies, and advance careers. Join more than 30,000 colleagues from more than 80 countries at the world’s largest marketplace of ideas and tools for global neuroscience.